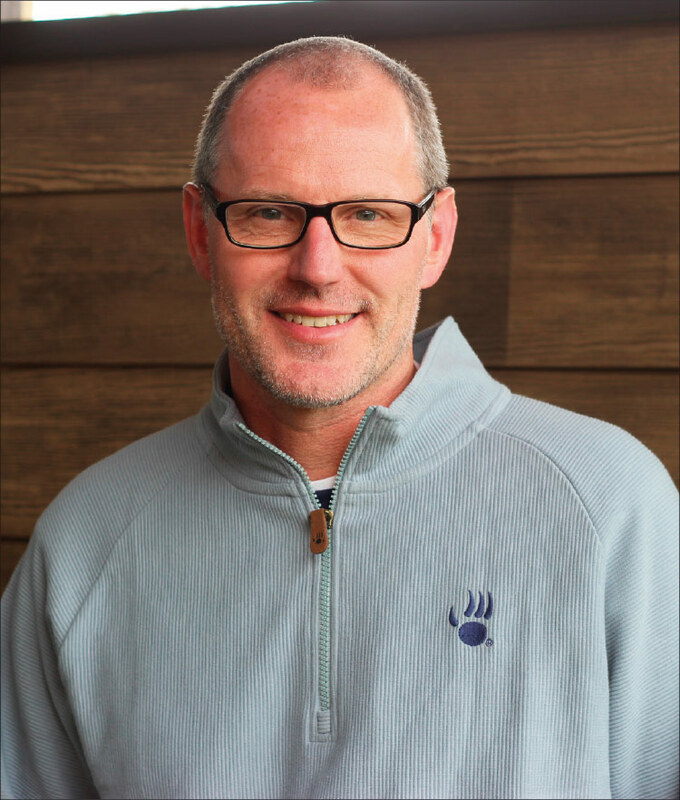 John Pierce, president of Bearpaw, on branching into a year-round, head-to-toe brand and why the parent company is just getting started. First off, Bearpaw’s product the past few seasons has been really good, in my humble opinion. What do you attribute that to? Well, thank you for that and I agree. One, it has to do with our R&D center. Two, we hired a true designer in early 2015 who is focused on drawing and market trends, whereas before it was kind of, ‘Hey, what did we have in the past, what’s a need in the market now,’ and we’d build according to that. Now we’ve got someone focused on the small details—the embellishments—as well as the bigger picture. That goes hand in hand with the improved quality control and the increased standards of our product. Because of that, I would say that while our classics are still an important piece of our business, it’s the other areas that have been growing. Our Tahoe collection, which is the cold weather, waterproof and Neverwet treated uppers (resists liquids and stains) with heavy-duty lug soles. It’s been growing steadily over the last four years. Our Savvy collection, which is the essence of the Classics updated with embellishments and details like straps and buckles to create a more updated look, is also growing. Our kid’s business is on fire right now. We’ve taken down some of our popular women’s styles. It’s only $5 to $10 more than the core styles, but you’re getting a lot more going on. It’s also not just a mommy-and-me scenario. We’re having success with some fun kid’s-only styles as well. And we’ve just added some styles to our men’s side at the end of last year. Up until that point, we only made men’s slippers. We’ll be focusing more on that segment going forward to build a line that’s worthy of our women’s and kid’s lines. We’re rounding out the family business. Where is Bearpaw in the goal of becoming a year-round brand? The goal, first and foremost, is to be year-round footwear business, and we’re almost there. The next step is to make the percentage of the first half of the year closer to the back half. It’s never going to be 50-50, but a better percentage than what we have currently would mean our spring piece is becoming more important. Like with the launch this year of the Trans-Seasonal collection? That’s a work in progress. I think the intention is right, but the look still needs a little work. We need to look at colorations, for example, because the June-August selling period was too heavy in fall colors. We’re not going to give it up, but we need to make some adjustments. What about becoming a head-to-toe brand? That’s the secondary goal, and this is where there might be disagreement: Can you be a true brand and not be head to toe? I believe you can be just a footwear brand and still be very successful. But the head-to-toe aspect doesn’t hurt. We signed our hosiery license about four years ago, and that’s been a very good business. A year-and-a-half ago, we signed a license deal to make outerwear, like ponchos, hats, scarves and gloves. We’re looking to really extend that. Why do you believe Bearpaw possesses broad crossover appeal? It’s product, first. You have to have great product. Then you utilize relationships, offer sales programs and aspects like our drop-ship program. This spring is the first season we are offered that service. We’ve partnered with about 12 retailers, and the goal is they see that there’s a spring consumer for Bearpaw. It also works in fact finding, where retailers can see that there’s a consumer that is looking for something other than just our classics. It’s been a nice business so far. Many retailers of late are pairing down assortments—going deeper with brands they know and trust. It’s not easy trying to break new ground these days, correct? It’s not, and some retailers are stingier than others. For example, Macy’s chose only a select amount of our drop-ship inventory, even though there’s no inventory risk. It could have to do with possible returns—they’d have to liquidate that themselves. But our return rate is generally much lower than the masses, and part of that is because we are whole sizes only. The other factor to take into consideration here is that we established ourselves as a fur boot business and there are only a handful of companies doing that type of product. Whereas, if you look at the spring sandals and closed-toe markets, there are so many brands that are already established. So we’re fighting for shelf space just like anybody else. The competition for spring is much denser than it is for fall. Tell me about the new brand you’re launching this fall. It’s called Luxe De León, named after where it’s made in León, Mexico. It’s a high-end brand that retails on the plus side of $200, and it’s completely different than Bearpaw. It’s women’s and men’s styles. It’s not associated with Bearpaw at all, either. We’re not selling the same retailers, and it’ll be managed by a separate salesperson. We see this as a boutique business, and we’ll also approach some of the higher end majors like Nordstrom and Zappos. The advantages of being made in Mexico? You can do shorter runs and quicker turnaround times. It enables us to dip our toe in the water to start and build it from there. For example, we can build 180 or 360 pair as opposed to 3,600 pair. The turnaround time is 30 to 45 days as opposed to 90 days, and it takes days for delivery from Mexico as opposed to weeks from China. The DTC channel can also be a way to help start this brand. And retailers are looking to buy that close to a season? Every retailer is different, but when you look at the smaller guys, many don’t know where their financing is at any given time so they often buy much closer to season. And extreme boutique specialty stores might only buy five pair. Having an inventory position on such items provides another way to succeed versus just making to order in advance. If we sold every pair, that would be a great thing in the first year. But it’s not a huge risk. It’s not easy to get retailers to commit to much these days, let alone to something new. Having worked on that side, how would you describe this current environment? It’s still a correction process. By that, I mean there was an explosion of retail space in the ’90s—people were opening stores left and right. I was in the Dallas market, and it seemed like a new mall was opening every 10 minutes down the road. Did we really need that much? As opposed to driving 25 minutes to a nice mall with one-stop shopping? So I think it’s a necessary correction. People are closing doors to a more manageable and productive number. Where are we at in this correction process? We’re probably still a couple of years away from being finished. Then you layer in the Internet, which is where the play is. I believe those that find a way to make the two work together are going to be the ones that succeed. Many blame online retailing—Amazon, in particular—for the rash of brick-and-mortar closings. But one could easily make the case that due to over-expansion, this shakeout was coming regardless. Very much so. But I don’t believe brick and mortar is going away entirely. There’s still plenty of people who want to try things on—they still want to touch and feel. At the same time, people are hard-pressed for time and want everything at their fingertips, so if they know they can walk into a store and find the item they are looking for in the size and color they want, then they’ll do it. Options like shopping online and in-store pick-up means you’re not wasting time shopping the racks and trying to find something. You have to find a way to make both work. Is online a growing channel for Bearpaw, or is it all pretty much going to Amazon? Most of it is going to Amazon. We made the decision to stop selling them directly three years ago because of pricing and the valuation of the brand being hurt. I believe it helped our other partners, although maybe not to the degree that they would have liked. However, I’ve rescinded that policy slightly. We’ll be selling Amazon directly again this year, just to a much lesser extent. Because when Amazon is selling direct, it pushes down third party sellers on the site, many of who are unauthorized dealers. Quite frankly, you cannot control them. You try and you try, but I don’t have a team big enough—a staff of 25 that we can monitor the way it needs to be done. Amazon selling our brand means some of these unauthorized dealers aren’t going to get the sale. What’s Bearpaw’s stance on the DTC channel? Our Bearpaw.com business was up a sizable amount in 2017. I would attribute it to a few factors: We started a TV campaign to build total brand awareness. That ran from October through December on key channels—Hallmark Channel, E and Lifetime—that show a lot of the Christmas movies and everything else that moms watch. It was our second TV campaign, but the first one where we really planned it in advance. I think that paid huge dividends. We also sent out a direct mail piece—a mini magalog that showed the entire collection and our lifestyle—as well as three different mailings over the same period. We really started to see business pick up on our site starting in late October on into the New Year. That said, our DTC site is always full price until post-season and it’s a discontinued item. We can’t have our retailers feel like that they’re competing with us online. Now do we want to see our Bearpaw.com business continue to grow? Sure, because it’s a full-margin business. But I believe we’re only as successful as our retail partners. I’m not naive to think that we’re a household name. We’re not a Nike or Adidas. We still need retail partnerships, and that’s the whole reason for the TV campaign. It’s not to drive certain items, but to continue to build brand awareness and possible future customers that shop everywhere Bearpaw is sold. Is there another TV campaign in the works? Yes. We are changing it up from the last two years in terms of the look and feel. We’ll be featuring four of our brand ambassadors who push the brand on social media in their own day-in-the-life spots. Despite a challenging climate, shoe sales overall aren’t shrinking, at least drastically. It’s more a matter of who is doing the selling. Correct, the pie isn’t going away. The population isn’t shrinking greatly, and while consumers overall might be spending more on electronics and experiences, they still need footwear and apparel. My brother, who works in the medical field, once told me his business was recession proof because people are always going to get sick. I won’t say footwear and apparel are recession proof, but people will always want and need those items. And while we haven’t shown a ton of sales growth of late in a very challenging retail environment, it could have been a lot worse. It could have been decreases. We’ve maintained profitability, and I take that as a positive right now. Where do you see Bearpaw in five years? I see Bearpaw being a solid 12-month business in the U.S. and internationally. Over the past two years, we’ve increased our representation in Europe and other parts of the world as we have a true focus on building a global presence. Having partnerships with warehouses in Canada and Europe will enable us to grow at a faster pace because we’ll have product on the ground that’s accessible during the season, either to add new retailers or fill-in, much like how we built our U.S. business. And with Romeo & Juliette, the initiatives we are in the process of launching are all potential new revenue streams. It’s an exciting time for us. The people. I’ve been on both sides of the table, and it’s not all just about selling. It’s the relationships you make with the people you work with and our retail customers. It’s knowing that we have a tight-knit group in our offices and we all rely on each other to succeed. Of course, you have to be professional, but you can have fun doing it. I also love the fact that, with regards to Tom Romeo, complacency is not in his vocabulary. He’s a dreamer. He’s always looking at something else. Collectively, it’s what makes my job exciting on a daily basis. I just started Shoe Dog, the Phil Knight story. On a red-eye home, The Greatest Showman. What was your first-ever paying job? Working on the sales floor of a J.C. Penney store. I was 15. The young guys were floaters and were put wherever needed, but I was in the men’s department for the most part. If you could hire anybody, who would it be? Warren Buffet, just to pick his brain on how he looks at different industries and businesses that he’s looking to acquire. How he looks at future as well as present. What is the smartest business decision you’ve ever made? Going to work for Tom Romeo (CEO and founder of Bearpaw). It has enabled me to flourish and grow as an individual, and to put all my past experiences in the work world to good use. My dad told me early on that you are going to work for people through the years who you won’t necessarily like. Remember the reasons for those dislikes if you ever manage people one day. “When life gives you lemons, make lemonade.” In this industry, unexpected challenges come up on a daily, weekly and monthly basis that you just have to change, adapt and move forward. It fits. What is your favorite hometown memory? I don’t really have one since we moved around so many times growing up. It would’ve been nice to grow up in one spot and develop lifelong friends. A lifetime spent growing up and working in retailand wholesale has prepared Bearpaw President John Pierce forwhatever this topsy-turvy industry throws his way. Perhaps it’s fitting that, upon graduating college, Pierce entered the retail industry, managing stores for Foot Locker in the Dallas market. And while his mother hoped one of her children would follow in the footsteps of her husband, John Pierce wanted to be known as more than just “Ray Pierce’s son.” So he spent seven years honing his retail management and buying skills at the sneaker chain before becoming an athletic footwear buyer at Penney’s. After three-plus years and Penney’s in a phase of extensive change (around the millennium), Pierce decided to pursue his original career dream of becoming a sales rep for an athletic company. Thanks to his extensive buying contacts, he first landed a position as a product marketing manager for the upstart basketball brand And 1. He quickly switched to the sales side and was director of key accounts when American Sporting Goods acquired the company a few years later. Pierce then made the jump to Symphony Holdings, managing East Coast sales for its Pony brand. Shortly after, while attending a Famous Footwear vendors’ conference, he crossed paths with Tom Romeo, CEO and founder of Bearpaw. They were grouped together in a golf foursome and struck up a conversation. “By the end of 18 holes, he said, ‘We need to meet back at the hotel and figure out a way to get you on board,’” Pierce says. He was soon hired as sales manager of the company’s central region, and the rest has been Bearpaw history in the making. “I want to continue to build what Tom started,” Pierce says. “Because of my past experiences, I knew that we could get better in many areas and help control the destiny of this company.” —G.D.